9’ vaulted ceilings in the living area give this home a nice open feel. An angled corner pantry in the kitchen gives you plenty of storage. A secluded master suite has a large bathroom and a walk-in closet. On the other side there are two more bedrooms and one additional bath. 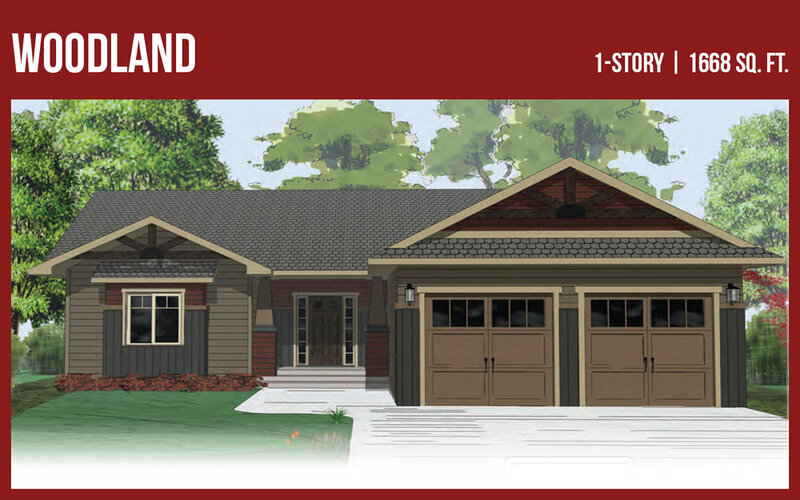 A large garage and traditional exterior give lots of opportunities for exterior styling.